Jim Geeting is a retired Wyoming state trooper. He began his law enforcement career in 1982 with the Evanston Police Department and eventually moved to the Wyoming Highway Patrol. During his career, Jim earned a Distinguished Service Medal, Purple Heart and two Colonel’s Commendations. He has served as an academy instructor, field training officer, member of the Highway Patrol Special Services Squad and the president of the Wyoming Highway Patrol Association. According to the book description of The Badge: Thoughts from a State Trooper, "Author and Wyoming State Trooper, Jim Geeting, discusses in a friendly and plain-spoken manner the dynamics and human interactions police officers live with on a daily basis, such as the special relationship between cops and kids, cops and other cops, cops and criminals, and the unique challenges peace officers face in maintaining a normal family life." According to the book description of Shots Fired Shots Forgiven, The Steve Watt Story, "As a young boy, Steve Watt knew he wanted to be a Wyoming State Trooper. At the age of twenty-three, he was sworn in. A few years later, Trooper Watt stopped a car whose driver he hoped had information on the whereabouts of a bank robber fleeing from Colorado to Wyoming. But the driver of the car he pulled over was not a witness to the crime...he was the actual bank robber! In an instant, the criminal was out of his car and shooting at Trooper Watt. The first bullet went through the trooper's windshield and into Steve Watt's left eye. Before the gunfight was over, Watt was shot four more times and left for dead. But Steve Watt did not die...he fought back! And that is where the story of Steve Watt's life begins. After years of bitterness and hatred for the man who tried to kill him, Steve Watt found a life with Christ that brought forgiveness and friendship toward Mark Farnham, the man who shot him five times. A friendship so powerful that former trooper, former member of the Wyoming House of Representatives, and now D.A.R.E. instructor and ordained minister Steve Watt has lobbied to obtain Mark Farnham's freedom from prison in an act of Christian forgiveness. 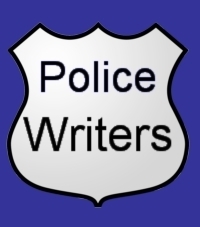 According to the book description of Cops and Kids - A Very Special Friendship, "This is a heartwarming collection of the author's thoughts from his award winning column, "The Badge," where the life of a state trooper and its myriad of emotional pulls are discussed; particularly those of the children a police officer meets on the job. Heart wrenching and heartwarming, all in one book." According to the Wyoming Highway Patrol, "At full staff, there are 207 uniformed officers and many other Wyoming Highway Patrol personnel who continually make a big highway safety difference - day in and day out all across Wyoming. In a typical 12-month period, uniformed troopers will log over 5-million miles patrolling the 6,500 miles of the state highway system. They will write thousands of citations for violations of traffic laws, investigate more than 6,000 motor vehicle crashes and, generally and continually, make Wyoming highways as safe as they can be. Troopers are directed where they're needed by dispatchers communicating via radio 24 hours a day, seven days a week from the patrol's communications center in Cheyenne. And while there is this "Field Operations" front line of highway safety support, there is much more to the highway patrol. Officers of the patrol's Commercial Carrier Division inspect commercial carriers, so they don't become oversize hazards to themselves and to drivers and occupants of smaller, normal-sized vehicles. There are the patrol's ports of entry personnel that also inspect and weigh commercial vehicles so that illegally overweight loads will not be able to inflict added damage to state roads. They collect fees from truckers that help repair the wear and tear on our highways.